Have you never programmed before? Are you interested in finding out what coding is about? This is your chance to display your artistic skills while learning how to create animations and games using programming! 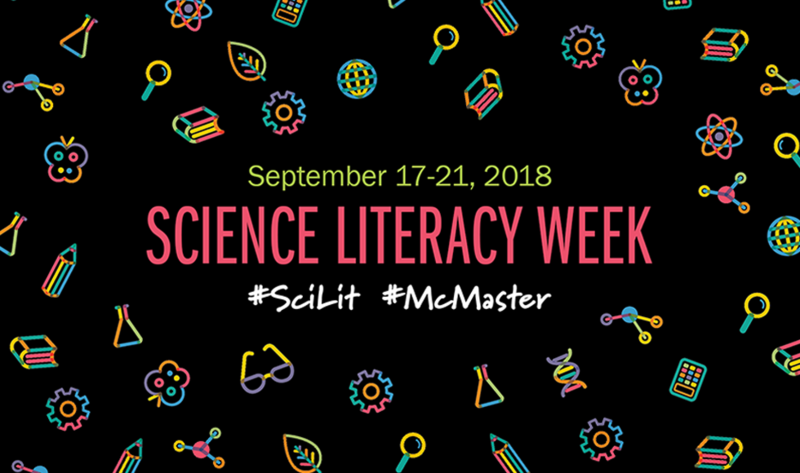 Come out to Science Literacy Week and attend some fun workshops by “The McMaster Outreach Program”. You can also get an opportunity to volunteer with us to teach children programming! Beginner level coding. Look for us at the tables in Reactor Cafe area (near fireplace). Intermediate level coding. Have you never programmed before? Are you interested in finding out what coding is about? This is your chance to display your artistic skills while learning how to create animations and games using programming! Come out to Science Literacy Week and attend some fun workshops by “The McMaster Outreach Program”. You can also get an opportunity to volunteer with us to teach children programming! Look for us at the tables in Reactor Cafe area (near fireplace). Tues. Sept. 18th, 10am – 12pm | Wong e-Classroom in Mills Library | Presented by: Vivek Jadon and Christine Homuth. Have you ever wondered how your electronic devices work? Do you long to make lights blink or buzzers buzz on command? Do you need to fill a couple of hours before lunch on Friday? If you’ve answered yes to any of these questions, please join us from 1030-1230 on Friday, 21-September, 2018 for “Electronics for Everyone”: a very gentle, hands-on introduction to physical computing and simple electronics. In this session, we’ll use Arduinos and various components (all provided by us) to introduce the basics of electronic circuits and build some interactive devices! Join the Sidewalk Astronomy team on their two telescopes (10″ and 12″ in diameter) to view Venus, Mars, Jupiter, Saturn, star clusters, and nebulae. Our astronomy is weather permitting, so please check the Sidewalk Astronomy website to confirm if skies are going to be clear. Highlighting some of the neat medical instruments in HSL’s archival collection, compared to their modern counterparts.